Save 10% off retail price. Why buy aftermarket accessories, when you can get custom made Toyota performance and convenience accessories created for your Toyota by the same people who designed it and built it. Discount applies to Toyota OEM Accessories purchased over the counter at Fort Wayne Toyota Parts. Installation is not included. Not valid on prior sales. Special order parts may require payment at the time of order and may be subject to a restocking fee if returned in the original unopened packaging with receipt. Taxes and shipping charges will apply. 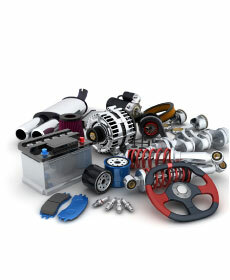 See your Toyota Parts Specialist for details.